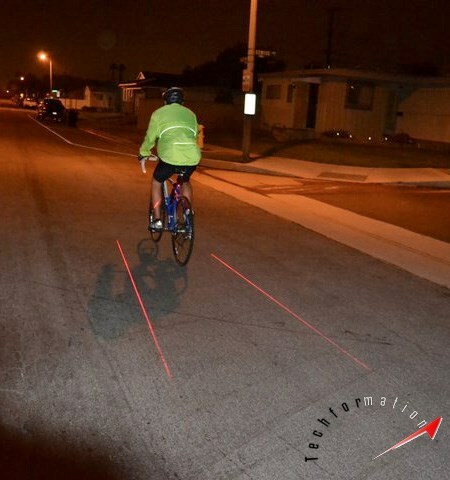 Bicycles do not have any lights, that is the reason we don't risk long distances at nights on bicycles. 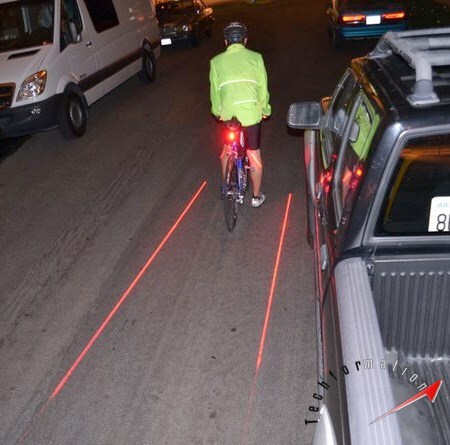 But using this laser projection set up, we can drive safely on bicycles. 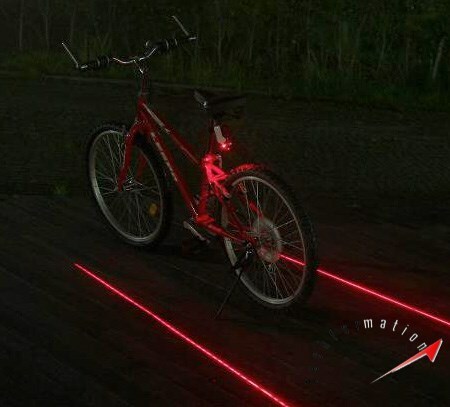 When this laser set up is installed in our bicycles, it will project a virtual lane on either side of the bicycle, which is visible even from long distances. 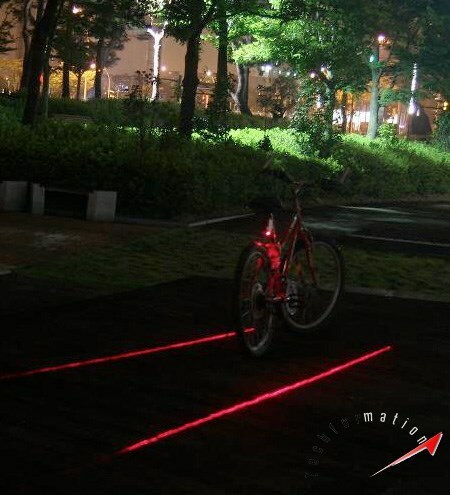 Designed by Xfire, this is definitely a useful and efficient add on to our bicycle.